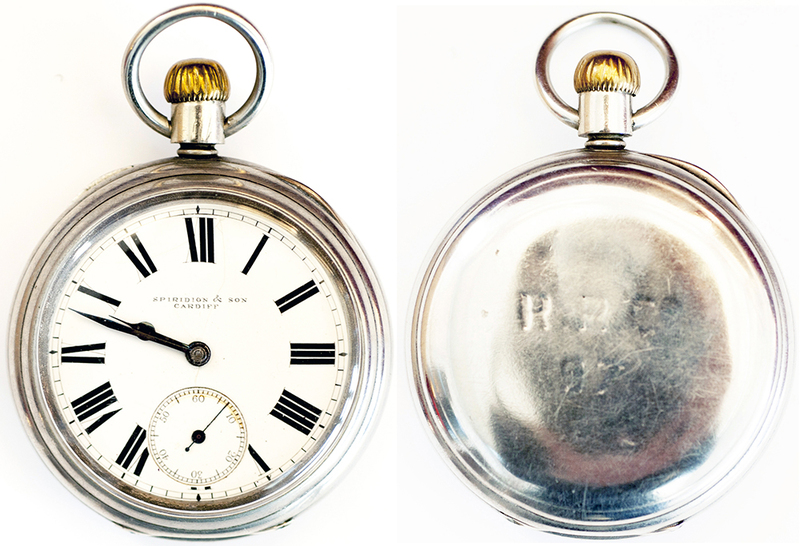 Rhymney Railway nickel cased pocket watch with American Waltham Watch Co movement 10353271 which dates this watch to 1883 the dial is enamelled Spiridion & Son Cardiff . The rear of the case is hand engraved R.R.Co 97. In working condition.